This is a rectangular Northern Express Money Orders porcelain sign. This particular Northern Express Money Orders sign is white with black and red print. 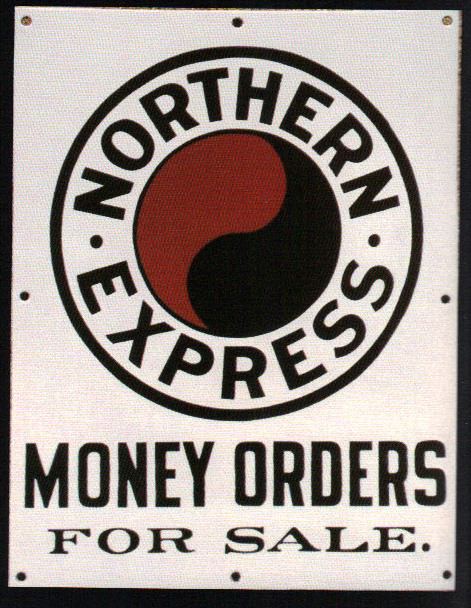 It reads, “Northern Express, Money Orders For Sale” and features a red and black yin yang symbol in the center.